Calling them suites doesn’t really do justice to the gigantic accommodations of the Maldives. 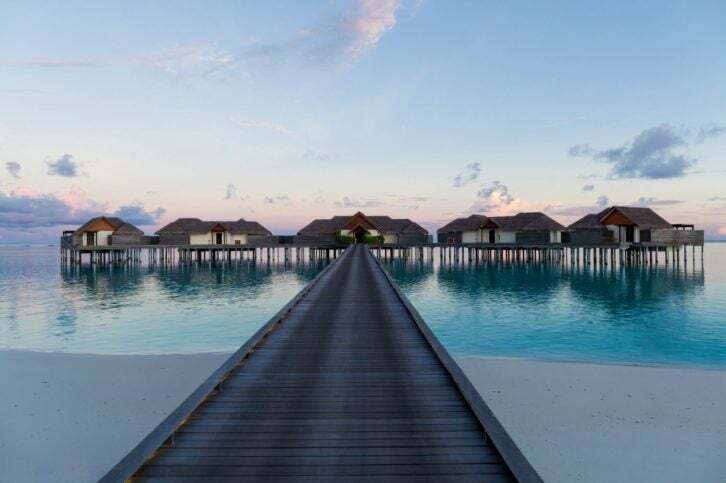 Surrounded by palm-fringed white-sand beaches and aquamarine seas teeming with exotic marine life, these idyllic atolls are truly paradise found. 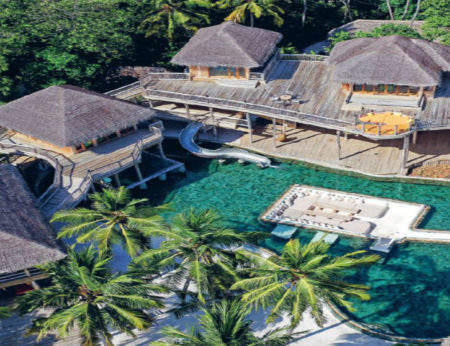 The Crescent is so much more than just a suite; this is a cluster of five villas — all with private pools — positioned above the turquoise water off the island resort’s powdery shores. Connected by a raised wooden walkway, the enclave accommodates up to 14 adults and eight children, with a central two-bedroom pavilion, two one-bedroom pavilions and two deluxe studios. A private deck complete with floating loungers, daybed and dining table acts as the Crescent’s hub. 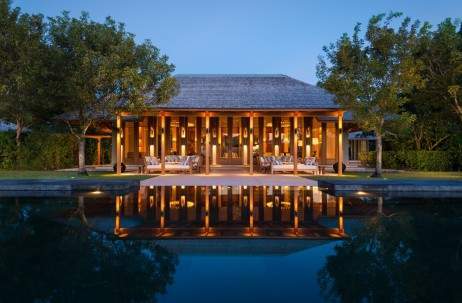 While staying within this secluded pocket of Niyama, a traditional Boduberu dance is performed exclusively for you. A private barbecue complete with movie under the stars and an exclusive dhoni (Maldivian fishing boat) sunset cruise are all part of the experience.